this show is one on my top 5 podcast definitely. been probably listening to this show a year ago and successfully listened to all of the episodes. and been enjoying the new mini series "off season" and looking forward for the new season. Evan is the most sought after personal trainer in Hollywood. His brain has always been good at bodies. But can it solve a murder? Performed by Chris Cafero, Eli James, Joanna Bradley, Stefan Schuette, Jeremey Bent, Connor Ratliff, Margaret Burrus, Keith Rubin, Jack Frederick, Davy Gardner, Liz Leimkuhler, and Becca Schall. Performed by Ariel Gitlin, Amy Lynne Berger, Billy Bob Thompson, Jimmy O’Connell, Susan Jacks, Meredith Burns, Davy Gardner, Taylor Curtis, Mary McDonnell, and Stefan Schuette. After her husband goes missing while on a tour of Ellsworth Caverns, a woman seeks to uncover the secret of the caves. Performed by Ann Carr, Rebecca Robles, Max Brand, Ed Herbstman, Danielle Delgado, Louis Kornfeld, Jonathan Nail, Thomas Whittington, Daniel Hubbard, and Rick Andrews. And looks for adventure. Oh! And there’s verse! Written by Mary McDonnell. Performed by Marisa Brau, Alison Cimmet, Liz Leimkuhler, Rachel Botchan, Alana Raquel Bowers, Will Storie, Stefan Schuette, and Davy Gardner. Produced by Jonathan Mitchell. It's bad enough that Alice and Mort find themselves in their late 50s with no jobs, and ruinous medical debt. But they're also buckling under a feeling of utter insignificance, that the world ignores them. Then their best friends offer them an unexpected solution to their problems. In this special episode, Jonathan Mitchell and Davy Gardner answer listener questions, and talk about how the show is made. "Commitment" was written by Davy Gardner. Performed by Margaret Burrus, Jack Frederick, and Mac Rogers. Produced by Jonathan Mitchell. After a humiliating defeat, an MMA fighter is eager for a rematch. But will the haunting memories of her loss get in the way? Performed by Ariana Rodriguez, Taylor Ortega, Chris Thompson, Will Martinez, Nanie Mendez, Thomas Whittington, Ken McGraw, Amadeo Fusca, Erica Hernandez, Pedro Alcocer, Glo Taverez, snd Keith Randolph Smith. After murdering an annoying customer in a moment of rage, Meg must finish her bakery shift and destroy the corpse while being haunted by the dead customer’s ghost. Written by Mary McDonnell, and produced by Jonathan Mitchell. Performed by Erin Bartley, Lily Du, Margaret Burrus, Patrick Noth, and Joanna Hausman. A reality tv producer travels to a small Texas town to find a man who can perform miracles. But there’s no such thing as miracles... right? Written by Louis Kornfeld, and produced by Jonathan Mitchell. As a storm rages outside, a visit from the head of the network complicates Erica's big story and Bruce's attempt at a comeback. A four-part limited series from The Truth. Starring Peter Grosz and Erica Hernandez. Written by Marina & Nicco. Erica interviews Bruce. Is she getting to the truth of his story? Or just helping a serial abuser get back on television? Meet Erica. She’s an aspiring journalist who enjoys squatting in vacant Montauk homes during the off season. And on the second floor of one house she finds... a locked door. What could be in there? A four-part limited series from The Truth. Starring Peter Grosz and Erica Hernandez. After being accused of sexual harassment live on air, television host Bruce Alvarez retreats to the Hamptons until the whole thing can blow over... if it ever will. Explore Wonderworld, U.S.A., where the fun and the mental are fundamental! Featuring stories by Chris Kipiniak, Becca Schall, Louis Kornfeld, Lila Newman, and Davy Gardner. A girl finds an unlikely friend in a porcupine puffer fish. Written by Becca Schall, produced by Jonathan Mitchell. Performed by Bee Herbstman, Alison Cimmet, Scott Richardson, and Ed Herbstman. In 1993, a young boy named Jesse Eisenberg wrote a fan letter to an NBA star that would change the course of history. Written and performed by Eisenberg, this story was produced by Jonathan Mitchell and originally released on Slate Magazine’s Upon Further Review podcast, hosted by Mike Pesca. Stick around ‘til the end for a special interview with Jesse Eisenberg. Two stories: What if there were an app for blind people that could describe to them what they can’t see? Not just directions like a GPS, but descriptions of objects that paint a picture. It doesn’t exist quite like that yet, but we wrote a story that imagines it does. After that, we’ll hear a second story about a personal GPS that gets very personal. Visible: Performed by Russell G. Jones, Rachel Hamilton, Ann Carr, and Kerry Kastin. Written by Louis Kornfeld with help from Diana McCorry, and produced by Jonathan Mitchell. Drive Straight Ahead: Written by Jeremy Goldstein and Mira Burt-Wintonick. Produced by Jonathan Goldstein, Mira Burt-Wintonick, and Cristal Duhaime. Originally produced for CBC’s Wiretap. Written by Lila Newman and produced by Jonathan Mitchell. Performed by Lila Newman, Erica Hernandez, Joel Bernstein, Margaret Burrus, Kyle Gordon, Davy Gardner, Jeff Wucher, Jack Frederick, and Fred Newman. How far is too far in the fight for Truth, Justice, and the American Way? This episode asks some serious questions by taking the form of a Saturday morning cartoon. Written by Casper Kelly, and produced by Jonathan Mitchell. Performed by Jake Hart, Marc Thompson, Erica Schroeder, Billy Bob Thompson, and Graham Rowat. A couple tries to make a break, without the future getting in their way. This episode was sponsored in part by: Burrow (Use the promo code THETRUTH to get $50 off your order); and HelloFresh (Use the promo code TRUTH30 to get $30 off your order). Written by Louis Kornfeld and produced by Jonathan Mitchell. Performed by Michael Cullen. HelloFresh (Use the promo code TRUTH30 to get $30 off your order). Performed by Dana Kaplan-Angle, Amir Darvish, and Boris Khaykin. Written by Lila Newman, directed and produced by Jonathan Mitchell. Written by Eric Molinsky (of the Imaginary Worlds podcast) and produced by Jonathan Mitchell. Featuring Woody Fu, Danielle Delgado, and Billy Griffin, Jr.
A couple moves into a Co-op apartment that becomes more than they bargained for. Performed by Hannah Chase, Dennis Pacheco, Amy Warren, Susan Owen, Betty Hudson, Joel Bernstein, Michael Cullen, and Sam Tsoutsouvas. Written by Becca Schall, and produced by Jonathan Mitchell. The Polybius Conpiracy is a production of Showcase from PRX’s Radiotopia. A disenchanted mall Santa gets a surprise gift from SantaCon. Written by Louis Kornfeld, produced by Jonathan Mitchell. Performed by Tom Ligon, Chris Dwane, Anna Neu, Bianca Casusol, Jimmy O’Connell, Kevin Cobbs, Louis Kornfeld, Kerry Kastin, and Becca Schall. Everything would be fine if everyone would just listen. Written by Chris Kipiniak, and produced by Jonathan Mitchell. Performed by Abby Royle, Kyle Gordon, Ashlie Atkinson, and Jennete Cronk. With Jaymes Jorsling, Kerry Kastin, Chris Kipiniak, Becca Schall, Lila Newman, Louis Kornfeld, and Matt Shafeek. Performed by Tallie Medel and Tim Platt, with Kelsey Bailey. Written by Becca Schall, and produced by Jonathan Mitchell. Performed by Austin Pendleton, April Matthis, and Jenny Lee Mitchell. Written by Eric Molinsky, and produced by Jonathan Mitchell. Performed by Scott Adsit, Amy Warren, and Ed Herbstman, with Anna Neu, Billy Griffin, Alexis Lambright, Louis Kornfeld, Elana Fishbein, Joanna Hausmann, and Kerry Kastin. Written by Casper Kelly, and produced by Jonathan Mitchell. Performed by Adam Wade, Hannah Chase, Mariette Strauss, Elana Fishbein, Dennis Pacheco, Anne Antonucci, Jeremy Bent, Noel Dinneen and Seth Lind. Imagine a near future where media influencers are sent to an internment camp. This episode was made in collaboration with Benjamen Walker, and part 2 is available now on his podcast Theory of Everything. Featuring Michael Delisle, Ann Carr, T.J. Mannix, Michael Cullen, Chris McKinney, Will Quinn, Becca Schall, Louis Kornfeld, Chris Kipiniak, and Kerry Kastin. Written by Benjamen Walker, with help from Louis Kornfeld. Produced by Jonathan Mitchell. Part two can be heard on Theory of Everything. This is our contribution to Radiotopia's Doing Time series, to mark the arrival of the new Radiotopia podcast Earhustle. The voice of a cartoon boy takes a shot at live action. Starring Erica Schroeder as Betsy and Happy Louie. With Brian Dykstra, Marc Thompson, Justin Morgan, Rosie Whalen, Susan J. Jacks, Chris Kipiniak, Lorena Russi, Eric Molinsky, Kerry Kastin, Asher Herbstman, and Rob Webber. Written by Eric Molinsky (of the Imaginary Worlds podcast) and produced by Jonathan Mitchell. On the island of Thassos grows a very rare variety of the Lotus flower, Nymphaea Anamnesis. If you drink its extract, whatever you say or do for ten minutes after drinking it, you won’t remember. It's kind of like Snapchat but "in life". On this episode we’ll meet a group of friends who partake in the Lotus extract. Written by Jaymes Jorsling, and produced by Jonathan Mitchell. Spring is in the air and so are the bees. To celebrate, we made this collection of comedy sketches! Learn how Quantum Mechanics can help solve that familiar dilemma: scone or muffin? Meet the most conscientious mom on the playground. And hear the only game show that explores the futility of trying to make the world a better place in the face of today's biggest news: What Can You Do! Featuring sketches by Alexis Pereira, Jessica Taylor, Becca Schall, and Jordan Randolph. Produced by Jonathan Mitchell. An elf named Spark has just been promoted to the "Naughty or Nice" division of Santa's workshop. But when he finds out how Santa determines if you've been bad or good, he makes it his mission to change the system. Written by Jonathan Mitchell and Seth Lind, originally produced for NPR's All Things Considered in 2014. A (fictional) Director's Commentary from the (fictional) short film that inspired the (fictional) big budget feature romantic comedy "Then I Saw Her Face". Performed by Birgit Huppuch, with Maurice Jones and Libby Woodbridge. Written by Chris Kipiniak and Louis Kornfeld, and produced by Jonathan Mitchell. A mixtape made especially for you, with five short comedy sketches produced by The Truth. Featuring performances by Scott Adsit, Tami Sagher, Ed Herbstman, Laura Grey, April Matthis, Peter McNerney, Lane Kewerdis, Al King, Becca Schall, Willie Appelman, Louis Kornfeld, Tom Ligon, and Blanche Ames. With sketches by Sarah Siskind, Colin Nissan, Becca Schall, Willie Appelman and David Zax. Produced by Jonathan Mitchell. A new short film has been made based on our story "That's Democracy", and to celebrate we produced this documentary about how the original story was made. Including interviews with Louis Kornfeld, Peter McNerney, and filmmakers Jon Bowden & Cliff Traiman. Plus archival tape from our story meetings, and outtakes from the recording session. A mysterious man appears in the barn of an elderly Irish couple. This story was commissioned by RTE's Drama on One, and recorded in Kilfinane, County Limerick, Ireland. Performed by Sarah Reynolds, Joe Mullins, Maeve McGrath, Diarmuid McIntyre, and Louis Kornfeld. Written by Louis Kornfeld, and produced by Jonathan Mitchell, with the assistance of Diarmuid McIntyre and Grey Heron Media. Special thanks to Kevin Brew of RTE, and Noreen Quish. Three men are stranded in a lifeboat. Adapted from a short story by Diane Cook, our adaptation is by Diana McCorry. Performed by David Pasquesi, Ed Herbstman, and Mark Gessner. Produced by Jonathan Mitchell. "Man V. Nature" is from the collection of the same name, copyright 2014 by Diane Cook, used by permission of HarperCollins Publishers. Two stories: A blind man gets a Seeing Eye App, and a personal GPS gets really personal. With performances by Russell G. Jones, Ann Carr, Rachel Hamilton, and Kerry Kastin, and writing by Louis Kornfled & Diana McCorry, and Jonathan Goldstein, Mira Burt-Wintonick & Cristal Duhaime. Everyone thought you were missing, maybe even dead. And now you’re back. Performed by Ed Herbstman, Ben Jones, Christian Paluck, Chet Siegel, Louis Kornfeld, Amy Warren, and Asher Herbstman. Produced by Jonathan Mitchell. Also on this episode, a segment about the making of the Radiotopia logo from the Song Exploder podcast. Greetings, souls of the damned! This story is about a young woman who always looked up to her older sister, until they found themselves in Hell. Performed by Bianca Casusol, Kate Emswiler, Louis Kornfeld, Jake Hart, Blanche Ames, Jimmy O’Connell, and Kerry Kastin. With special musical guest Christian Colabelli. Written by Alejandro Kolleeny, with Louis Kornfeld and Jonathan Mitchell. Produced by Jonathan Mitchell. No one knows what it is, or why we can't see it. All we know is that without it, the universe would fall apart. Performed by Kevin Corrigan, Chet Siegel, Ed Herbstman, Dennis Pacheco, Alexis Lambright, Rob Webber, and Anna Sale. Written by Diana McCorry, and produced by Jonathan Mitchell. Inspired by listener Christopher Tunnell. It's the Age of Leisure, and keeping it that way is a full time job. Performed by Peter McNerney, Dave Hill, Louis Kornfeld, India Kotis, Rebecca Robles, Alex Marino, Phoebe Tyers, T.J. Mannix, and Rupert Degas. Written and produced by Jonathan Mitchell. Commissioned by NPR's Planet Money. The recording doesn't lie. Performed by Ed Herbstman and Tami Sagher, with Libby George and Christian Paluck. It was produced by Jonathan Mitchell, and written by Jonathan Mitchell, Ed Herbstman, and Melanie Hoopes. 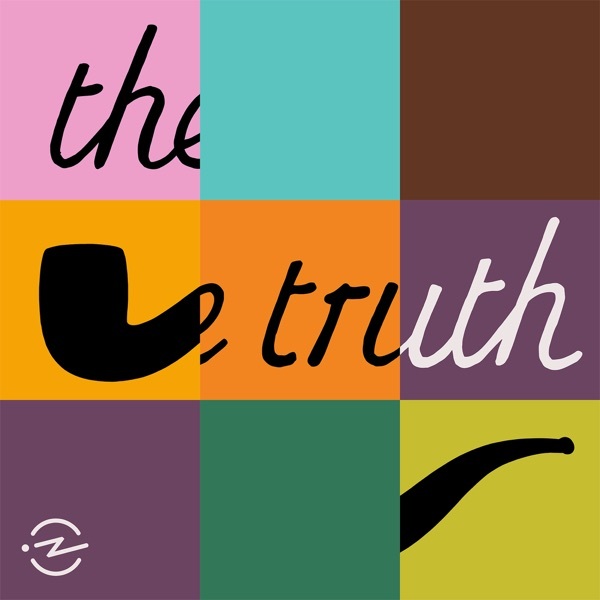 This story originally aired on This American Life. An accidental love story. Performed by Chet Siegel and Peter McNerney, with Willy Appelman, Louis Kornfeld, Lauren Ashley Smith, Sebastian Conelli, Quinton Loder, Jon Bander, and Kim Ferguson. Written by Chet Siegel, and produced by Jonathan Mitchell. Edgar Allen Poe's death has always been shrouded in mystery. In this episode, we imagine what may have happened. It was inspired by listener Matthew Mercier, who spent time as the caretaker of Poe's last home. Performed by Christian Paluck, Ed Herbstman, Chet Siegel, and Louis Kornfeld. Produced & directed by Jonathan Mitchell. 45 years ago this week, Neil Armstrong and Buzz Aldrin landed on the Moon. To commemorate, we're sharing our pilot episode which asks the question: What if they crashed? This story is based on a real speech written for Richard Nixon in 1969 called "In Event of Moon Disaster." Performed by Matt Evans and Ed Herbstman, with John Ottavino as Richard Nixon. Our story was written and produced by Jonathan Mitchell, and edited by Hillary Frank. If you've ever been alone on Valentine's Day, this story is for you. It's performed by Eliza Skinner, Birch Harms, and Curtis Gwinn, who improvised all of the dialogue. It was originally produced in 2009 for Weekend Amercia, Hillary Frank was the editor, and it was produced by Jonathan Mitchell. Keep listening past the credits to hear a special treat. A trip to the museum takes a surreal turn. Performed by Isabel Frohnhofer, Tom Ligon, Elana Fishbein, Imran Chowdhury, Laura Parker, Philipp Goedicke, Dennis Pacheco, Blanche Ames, Ron Palais, Willy Appelman, Andrew Yurman-Glaser, and Phoebe Tyers. Written by Elana Fishbein, produced by Jonathan Mitchell. A collection of horror stories that take place in the world of electoral politics. This one-hour special was produced in 2012 for broadcast on public radio, and made possible by the generous support of the Public Radio Exchange (prx.org) and SoundCloud.com, with editorial support provided by American Public Media. Are you hearing voices? You're not alone. Performed by Christian Paluck, Carly Monardo, Tom Stephens, Louis Kornfeld, Jon Keller, Kerry Kastin, Nick Mykins, Aina Rapoza, and Ashley Wilson. With special musical guest Elizabeth Ziman. Written by Louis Kornfeld and developed collaboratively by The Truth, with dialogue improvised by the actors. Produced and directed by Jonathan Mitchell. A freak accident on a train platform leads to... romance? Performed by Chet Siegel and Peter McNerney, with Willy Appleman, Louis Kornfeld, Lauren Ashley-Smith, Sebastien Conelli, Quinton Loder, Jon Bander, and Kim Ferguson. Written by Chet Siegel and develped collaboratively by The Truth, with dialogue improvised by the actors. Produced by Jonathan Mitchell. A prodigal daughter returns. Performed by Ed Herbstman, Ben Jones, Christian Paluck, Chet Siegel, Louis Kornfeld, Amy Warren, and Asher Herbstman. The story was developed collaboratively by The Truth, with dialogue improvised by the actors. Produced by Jonathan Mitchell. This is a re-edited version of a previoulsy released story. A taxi driver is working on his anniversary, and gets more than he expected when he picks up a couple in Lower Manhattan. Featuring: Christian Paluck as The Driver, Chet Siegel as Mary, Louis Kornfeld as Frank, and Amy Warren as Morgan. With Ed Herbstman, Melanie Hoopes, Charlotte Rabbe, and Jamie Rivera. Written collaboratively by The Truth, with dialogue improvised by the actors. Produced and directed by Jonathan Mitchell. What happens when a corporation becomes a person? In this satire by Tony Award-winning playwright Greg Kotis, we follow a company called Geneva Mutual that becomes a sentient being. Performed by Louis Kornfeld, Rachel Hamilton, Tom Ligon, Chet Siegel, Amy Warren, Ed Herbstman, Christian Paluck, and Rupert Degas. Produced by Jonathan Mitchell. This story was inspired by a submission from listener Mathew Mercier, for our Halloween/Election crowd-sourcing experiment. It's based on his experience as caretaker of the Edgar Allan Poe estate, and imagines what Poe's last living hours may have been like. Performed by Christian Paluck, Ed Herbstman, Chet Siegel, and Louis Kornfeld. Produced & directed by Jonathan Mitchell. A canvasser gets the donation she needs, but it will cost her... Performed by Chet Siegel and Tom Ligon, with Matt J. Weir, Quentin Loder, and Melanie Hoopes. From an outline by Chet Siegel. Produced & Directed by Jonathan Mitchell, with sound design help from Brendan Baker. A teacher gives his students lesson about democracy that they'll never forget. Performed by Peter McNerney as Mr. Mohr, Russ Armstrong as Eric, and Alexis Lambright as Margaret, with Fiona Bradford, Teddy Shivers, Oscar Montoya, and Ben Jones as the principal. From an outline by Louis Kornfeld. Produced & directed by Jonathan Mitchell. Written by Kurt Andersen, this story was originally heard on PRI's Studio 360. Narrated by Ed Herbstman, with John Ottavino as Nicholas, and Melanie Hoopes as Nancy. The story editor was David Krasnow. Produced and directed by Jonathan Mitchell. The unabridged version was published in Stories: All New Tales, an anthology edited by Neil Gaiman and Al Sarrantonio. Two different approaches to making stories that combine improvisation with the recording studio. Total Transparency is a brand new piece, it was completely improvised and recorded in one take, and then edited. It was made up on the spot by Chet Siegel, Ed Herbstman, and Louis Kornfeld. Eye Contact was made using lots of different people telling the same story, that was edited into a fractured monologue. It originally aired in 2006 on Weekend America. The recording doesn't lie. Performed by Ed Herbstman & Tami Sagher, with Libby Geroge & Christian Paluck. Produced by Jonathan Mitchell, written by Jonathan Mitchell, Ed Herbstman, & Melanie Hoopes. Originally produced for This American Life. Production advisors: Peter Clowney & Kerrie Hillman. Special thanks: Ira Glass, Lisa Pollack, Jonathan Menjivar, and Chris Bannon. Recorded at WNYC, KCRW, Magnet Theater, and on location in New York City. Terry Bisson's classic short story "They're Made Out of Meat" originally appeared in Omni Magazine in 1991, and our audio version was produced for WNYC's Studio 360 in November 2011. We've re-mixed the story especially for this podcast, and it's followed by an interview with Bisson himself. The story was performed by Russ Armstrong & Miriam Tolan, and produced by Jonathan Mitchell. As we finish up some new stories for the podcast, here's a selection of three short pieces from the archives. These pieces are a little different than the stories we normally present on The Truth. They were all made by taking different characters from different movies or tv shows, and editing them together so it sounds like they're talking to one another. Included in this podcast: Terminally Blonde (2003), Sopranos in the West Wing (2004), and Buster and Spongebob in Love (2005). Episode #1: Moon Graffiti. In our pilot episode, we imagine what may have happened if the Apollo 11 mission ended in tragedy. Featuring performances by Matt Evans, Ed Herbsman, and John Ottavino. Inspired by a real contingency speech written in 1969 by William Safire for Richard Nixon titled “In Event of Moon Disaster."